STSA 62nd Annual Meeting attendee registration is tracking well ahead of past years. Over 220 STSA members, friends, and guests are already registered for the meeting. With so many of your colleagues planning to attend, you especially won’t want to miss the STSA 62nd Annual Meeting, November 4-7, 2015 at Disney’s Yacht & Beach Club Resorts! Given the popularity of the meeting, rooms are currently very limited at Disney’s Yacht Club Resort. Depending on your dates of travel, you may be able to secure a room at Disney’s Yacht Club. Please call the reservations department at 407.939.4686 to book your room as soon as possible if the Yacht Club is your preferred hotel. If you are not able to book at the Yacht Club due to space availability, don’t despair! 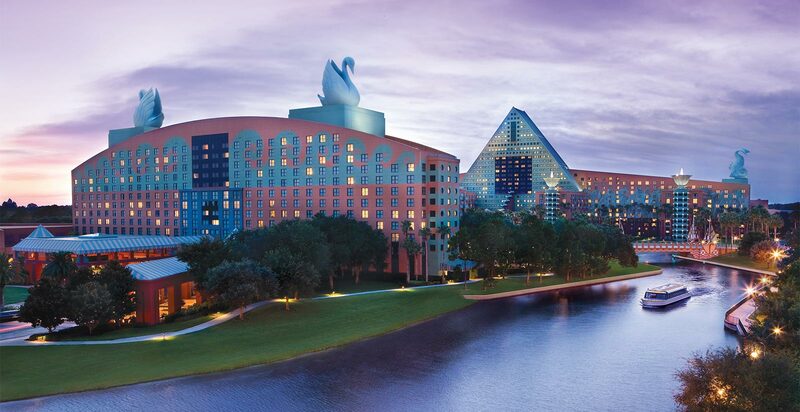 STSA has secured separate room blocks at two other near-by resorts, including the Walt Disney World Swan & Dolphin Resort and Disney’s Animal Kingdom Lodge. The Walt Disney World Swan & Dolphin Resort is located within easy walking distance of Disney’s Yacht & Beach Club Resorts. The STSA group rate is $229 per night (plus tax). Like Disney’s Yacht Club, rooms will also go quickly at the Swan & Dolphin. Book as soon as possible to secure your room if the Swan & Dolphin is your preferred hotel. Make Swan & Dolphin reservations online. Call the Swan & Dolphin at 407.934.4000 to book over the phone. Be sure to mention that you are part of the STSA meeting to secure the special group rate. Disney’s Animal Kingdom Lodge is designed to provide spectacular views of four lush savannas that over 200 hoofed animals and birds call home. The resort includes beautiful pool areas, exciting animal programs, and one of the largest collections of African art in the United States. The STSA group rate is $255 per night (plus tax). The Animal Kingdom Lodge is approximately ten minutes from Disney’s Yacht & Beach Club by car. Transportation will not be provided, but taxis will be readily available. Call the Disney Reservations Department at 407.939.4686 to book rooms at Disney’s Animal Kingdom Lodge. Be sure to mention that you are part of the STSA meeting to secure the special group rate. Learn more about the STSA 62nd Annual Meeting and register online at www.stsa.org/62ndannual. Contact STSA Headquarters with questions about the meeting and hotel accommodations at 800.685.7872 or stsa@stsa.org.